tv/reality. 2011/2012. 6 channel video, tins, plants. Description: plants growing to alternating videos of the sun and sky. Fruit/vegetable species grown in their corresponding tins. Supermarket install. 2011. Plants, paint, tins. 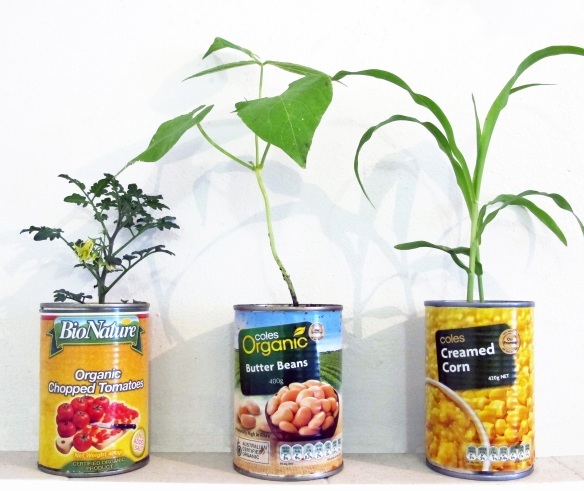 Tomato plants grown out of tins, installed in various large supermarket chains.